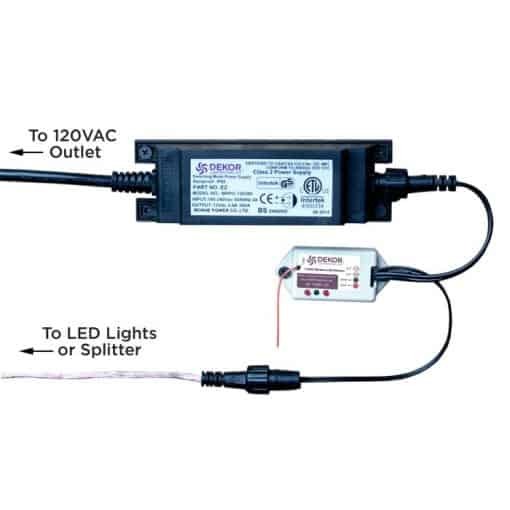 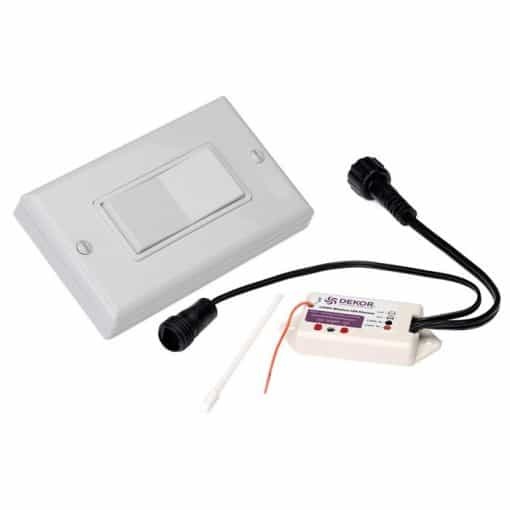 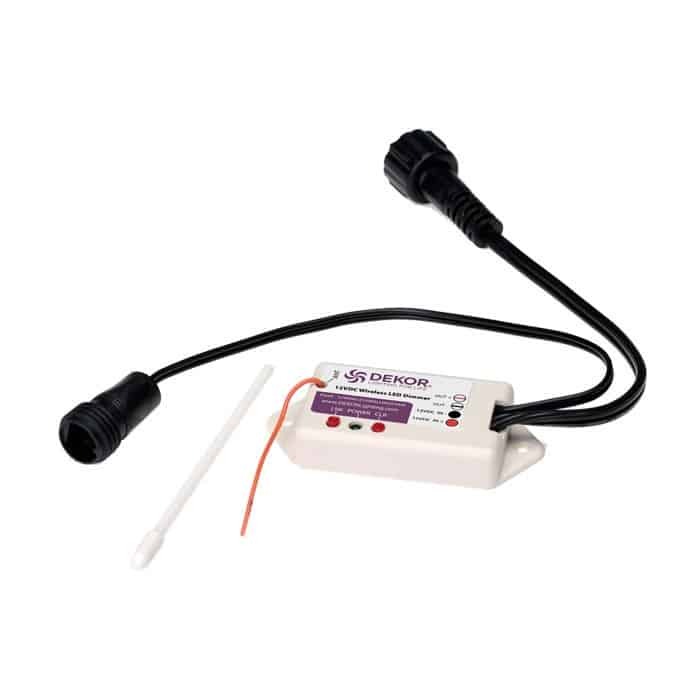 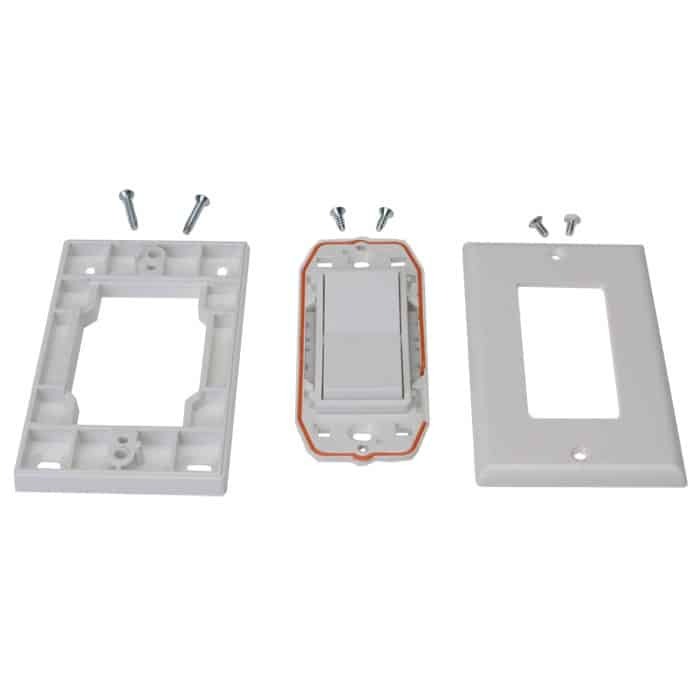 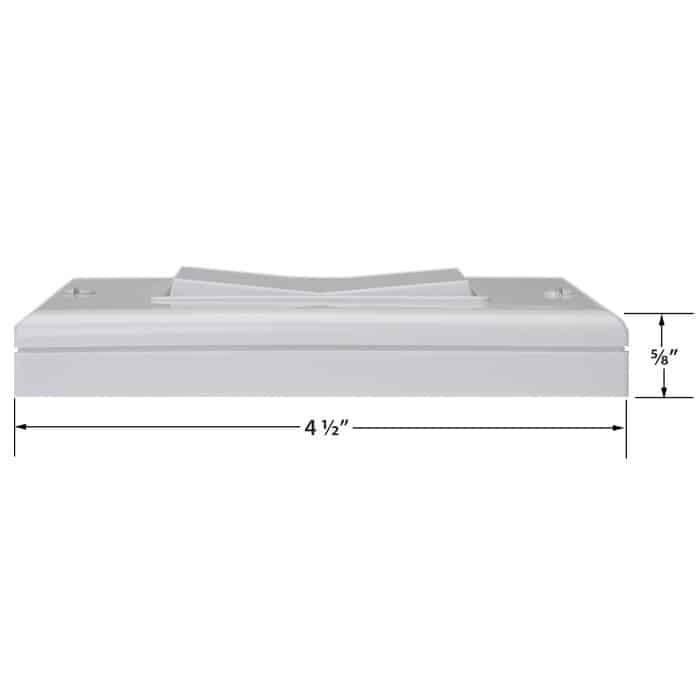 Wireless wall switch and dimmer receiver kit – turn lights on, off, or dim lights as required. 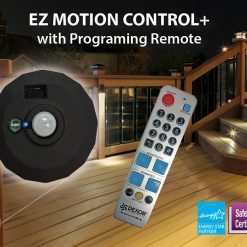 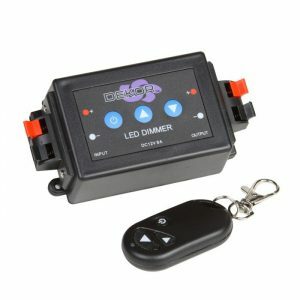 The EZ Wireless Dimmer Kit is the indoor LED lighting controller you’ve been asking for – a way to dim our interior lights with a convenient wall switch. Our Wireless Dimmer system is comprised minimally of a Wireless Wall Switch and a Wireless Dimmer Receiver; this kit contains everything you need to get going. 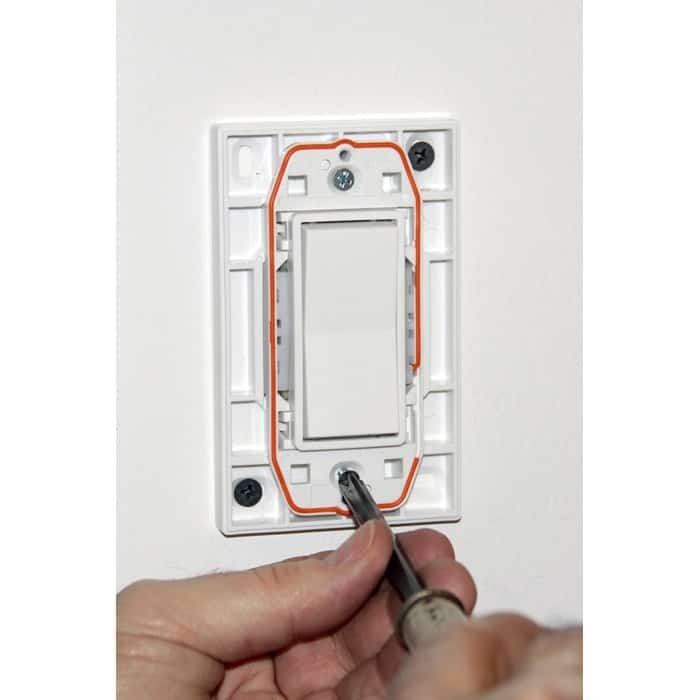 You can always add more wireless wall switches to your installation later on; the switches are modular so you can have multiple switches controlling the same lights. The Wireless Wall Switch looks like a traditional indoor light switch, so it will blend in well with your decor. 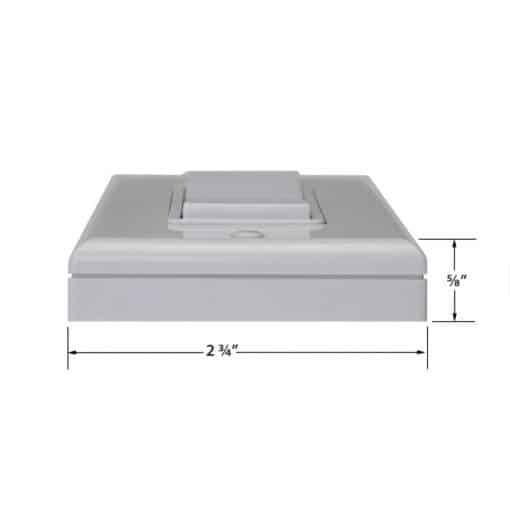 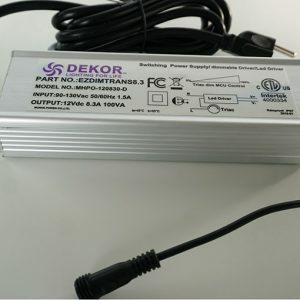 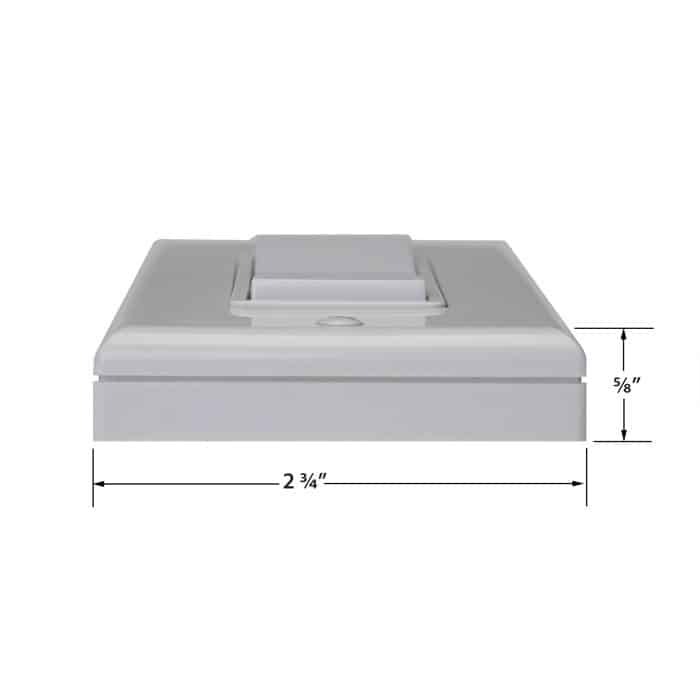 But under the covers, it is self-powered meaning it doesn’t require any wires or batteries to operate; you can screw it into an existing junction box or install on practically any surface with the provided screws. 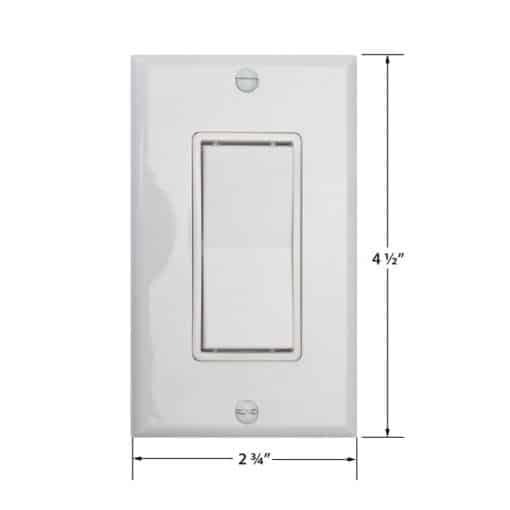 The Wireless Wall Switch is super easy to operate, by pressing the switch a small charge is transmitted to the receiver telling it to turn lights on or off or to dim. 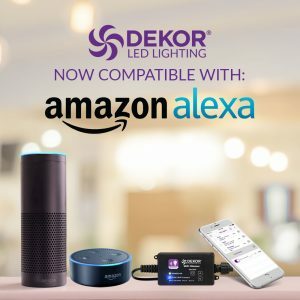 By holding the switch on you can customize the light intensity and with an internal memory each time you press the switch it returns to the same setting. 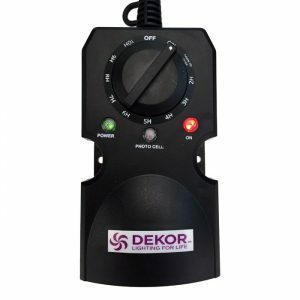 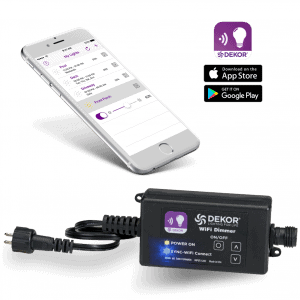 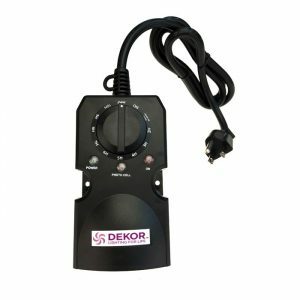 The Wireless Dimmer Receiver has a larger cable that plugs into a DEKOR transformer and a smaller output cable that feeds your lights. 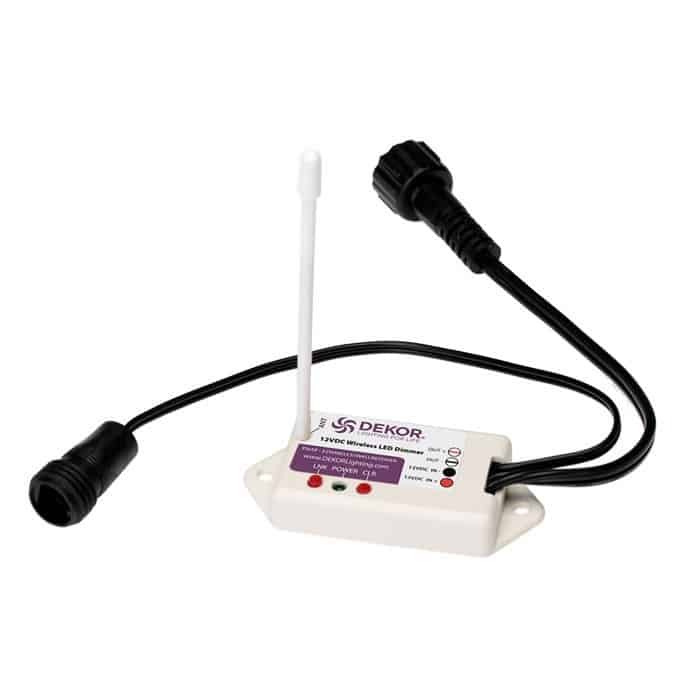 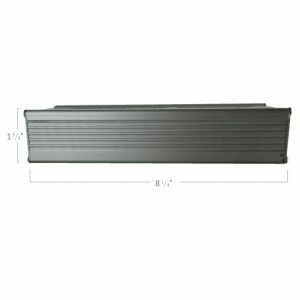 This is why it’s such an easy install; the receiver only requires it be placed within 150 feet of a wall switch to receive the signal with its built-in antenna. There is a simple pairing process for syncing the wall switch or switches to the receiver one time and you’re done. 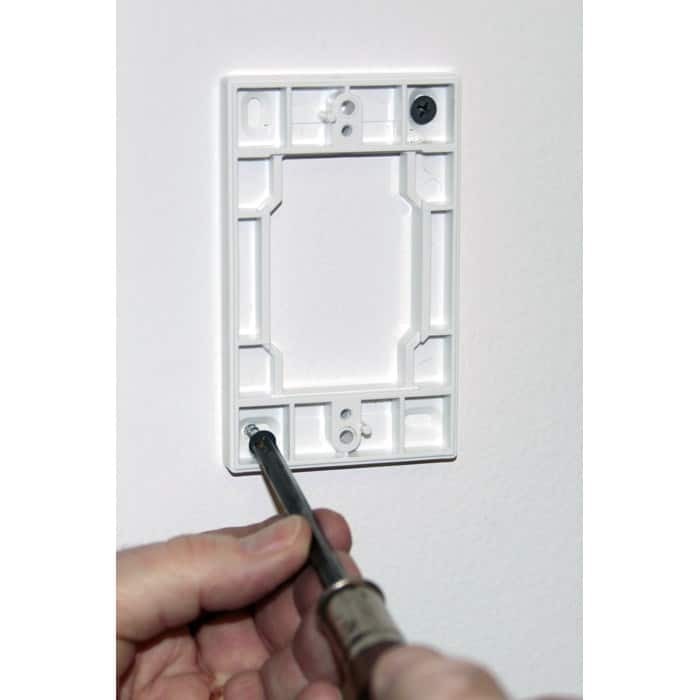 When the wall switch is pressed, a micro-generator produces a small electric current that powers the built-in transmitter. 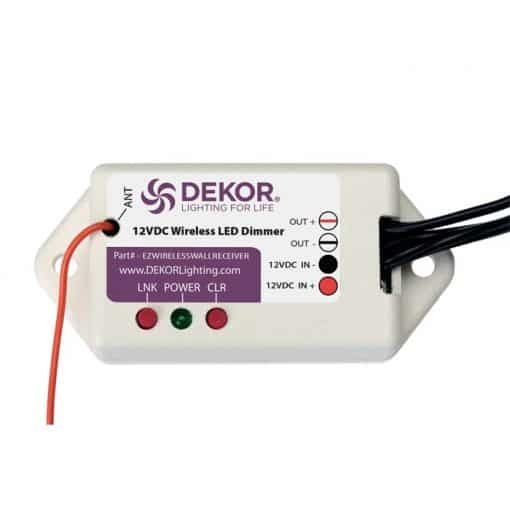 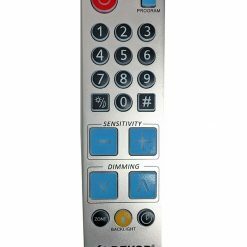 The transmitter sends a wireless signal that commands the dimmer-receiver to turn light on or off and controls the dimming of the lights. 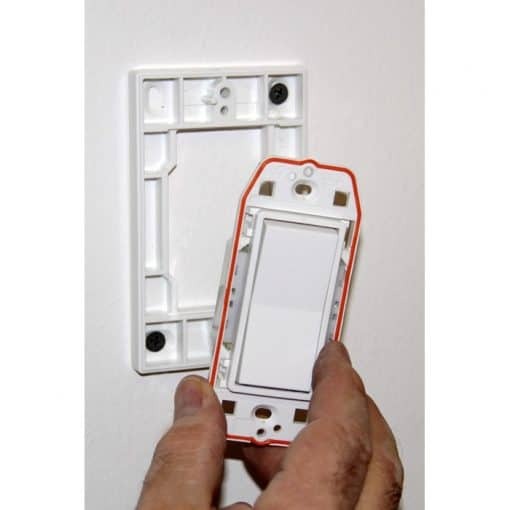 Pretty cool how it works. Extra time to install and a bit more costly.